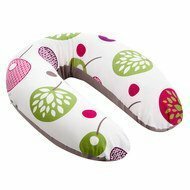 The nursing pillow Buddy Cotton 180 cm - Tree - Berry by Doomoo is a versatile and flexible pillow that you won't want to miss during pregnancy. 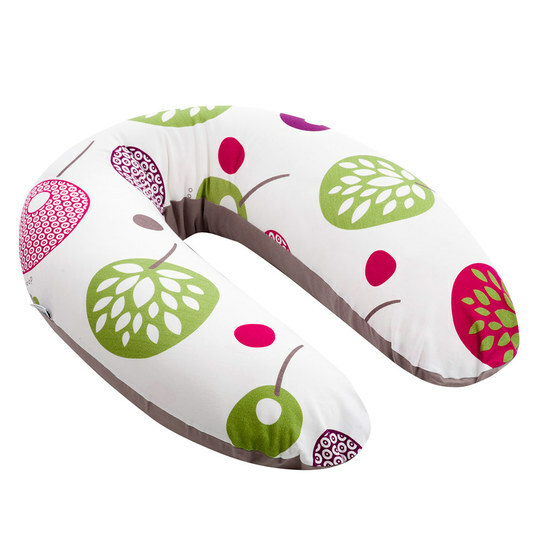 Thanks to its special shape, flexibility and suppleness, you can use the pillow as a positioning aid or to relax before you give birth. 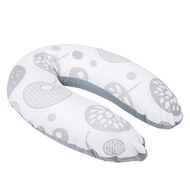 The filling of small, low-profile microbeads and the elastic fabric adapt perfectly to your body. 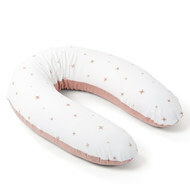 When your little treasure is in the world, the pillow becomes a classic breastfeeding aid. 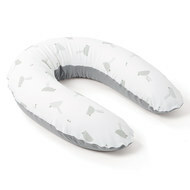 Around the waist, you get a perfect support for breastfeeding or feeding with the bottle. 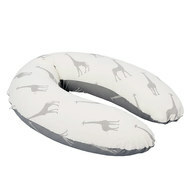 The soft nursing cushion is also a great nest for your baby to roll down on the couch. Later it becomes a supportive aid for the first sitting attempts. 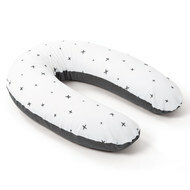 And even after that both of you will certainly still like to use the cushion as a cuddle or relax cushion. The outer cover is of course removable and can be washed in the machine. 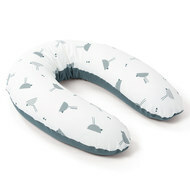 You can also clean the inside cover with filling very comfortably in a wüschesack or pillow case in the washing machine. 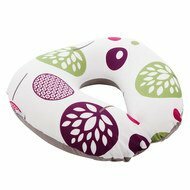 The nursing cushion can be easily and practically adjusted by means of a zip fastener on the inner cover. 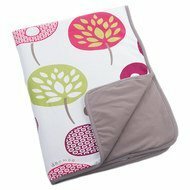 Stillkissen Buddy Cotton 180 cm - Tree - Berry wurde bewertet mit 4.6 von 5 von 7.